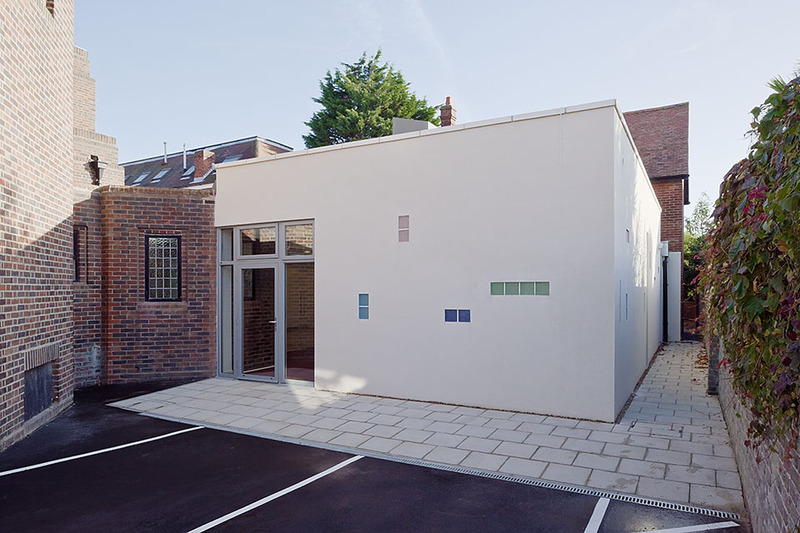 Brief: New build community link building between church building and Hall. Sustainability Initiatives: Sedum roof; super insulation; natural ventilation. 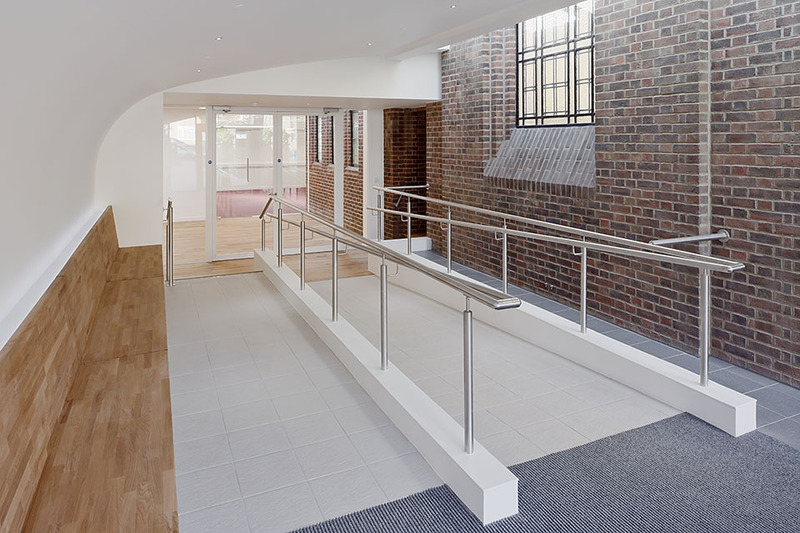 This new entry extension creates a community link building between the existing 1920s United Reformed Church building and its Victorian Church Hall. 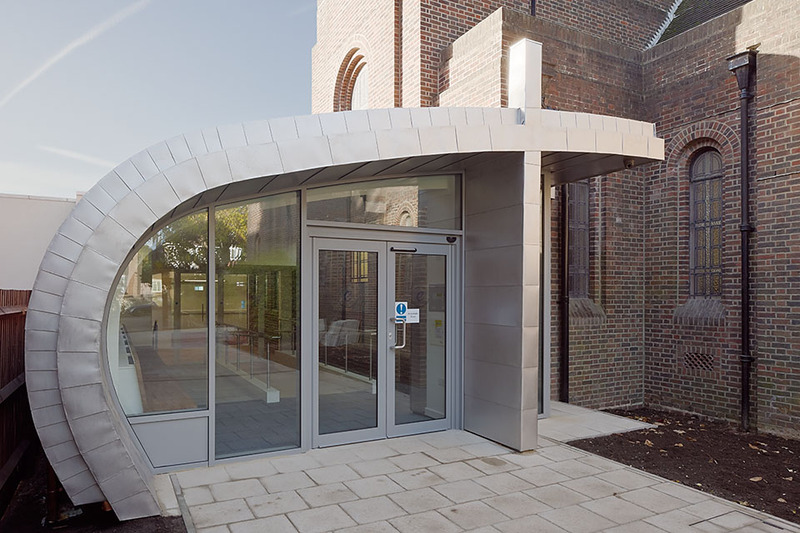 Incorporating a new entrance that is simultaneously welcoming and spiritual, without being overtly denominational, this building which is the heart of the local community is being updated for the 21st century. Including an Elders Meeting Room and a Welcome Foyer with additional DDA compliant toilet facilities. The new entrance creates a level transition between the worshiping space of the church and the secular rooms that are within the hall. The new link building encourages the use of peripheral space in a contemporary manner, whilst retaining a deferential aesthetic against the existing buildings. The scheme has been designed with a Sedum roof to certain elements, and super insulation is to be used wherever possible. Lead free Eco-paints will be used throughout the scheme to correspond to the decorations of the existing building.